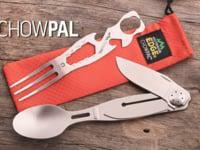 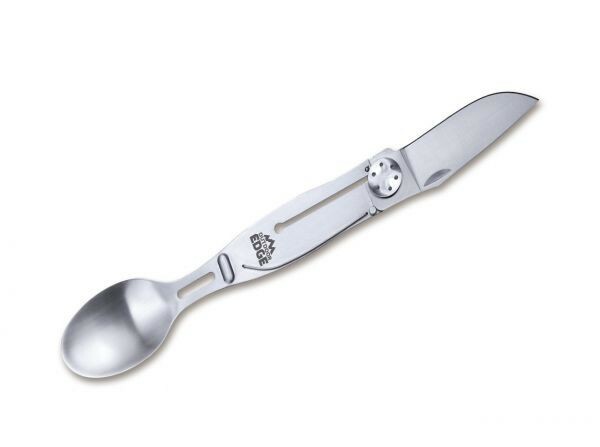 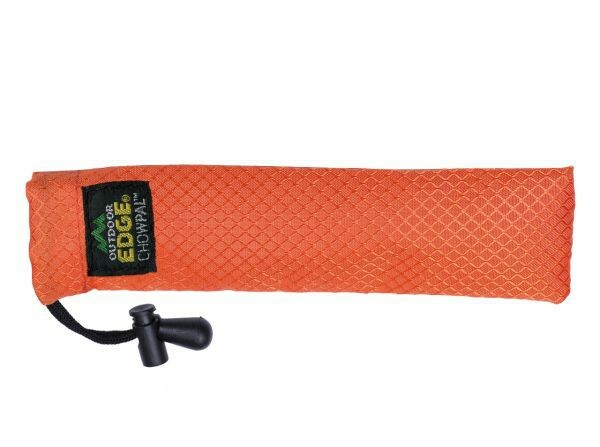 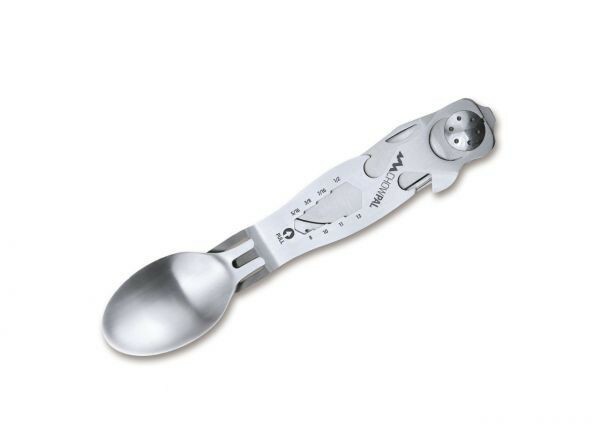 Outdoor Edge ChowPal Mealtime Multitool. 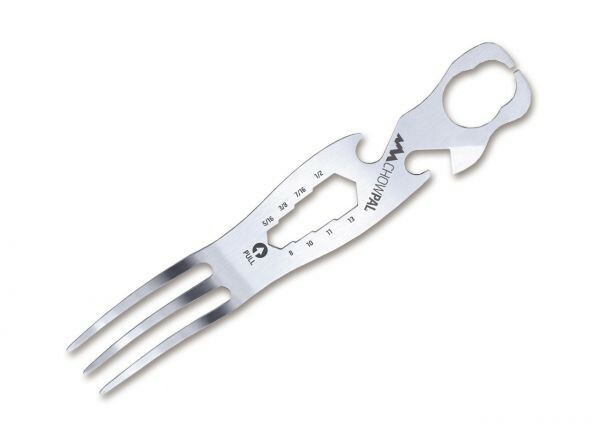 Fork interlocks with knife and spoon. 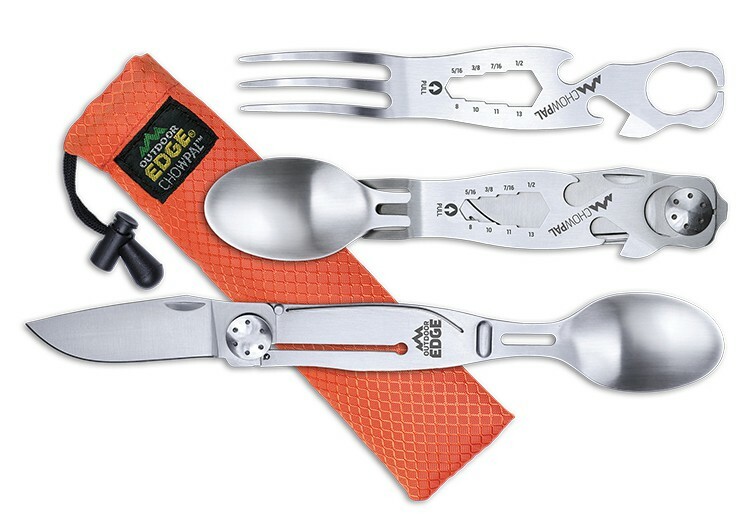 Whether you're living on quinoa while trekking across the Andes or car-camping with a 5-star spread, the ChowPal is the mealtime multitool that makes eating easy and convenient.